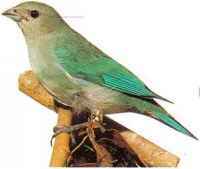 A bird of scrub anil open woodland, this spccics favors damp areas with thicker vegetation along watercourses. 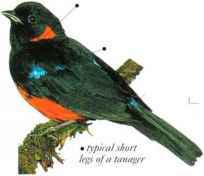 When perched, it has a habit of turning its body from side to side. It feeds chiefly on fruit. The song is a jumbled but melodious series of notes. • NliST A carefully woven, compact cup nest, well hidden in a low bush or small tree. • DlSTKIBl ITION Much of Brazil south of the Amazon basin, extending into Bolivia, Paraguay, Uruguay, and N. Argentina.